Convenience meal replacement for nutrition on the go. See below for a Coupon Code. 400 Calorie, Original Formula in store. Mark bought this item recently. Ample Meal Replacement Solution has one of the most convenient meal solutions in a plastic bottle. 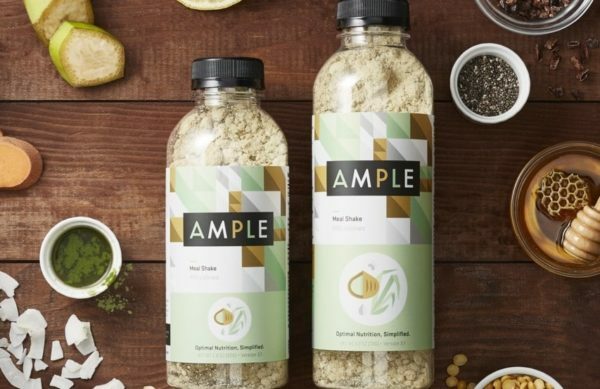 Whether you buy it in our store or use our coupon code, Ample is a very affordable meal replacement solution. Ample comes in 3 variations: Keto, Original, and Vegatarian. While meal replacement powders aren’t the same thing as real food, this meal replacement powder is about as balanced as it gets. Sample ingredients include: whey concentrate, pumpkin whey, macadamia nut oil, and sweet potato starch. Ample also sports a priobiotic blend — great for aiding in digestion. Ample comes in both 400 and 600 calorie size.